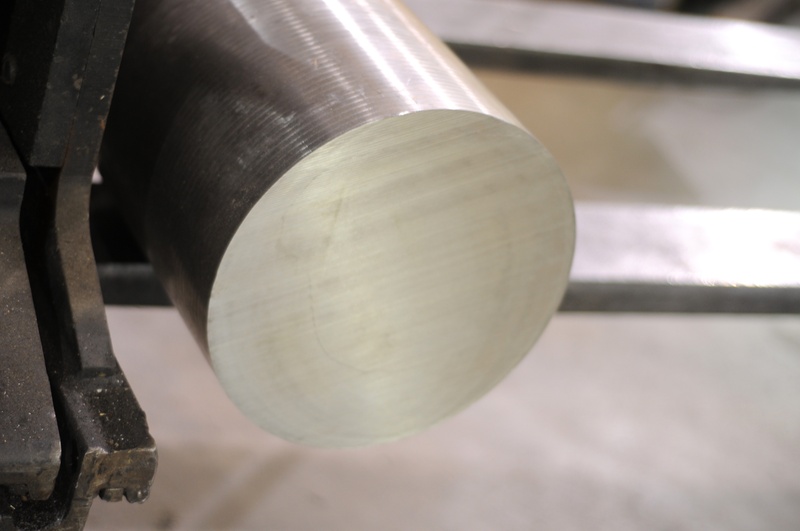 When band sawing softer alloys, the more economical high speed steel blades can be utilized. The machine must be set up to cut at much slower speeds to use the high speed steels. Some equipment does not have the capability to slow feed or speed as much as needed. Blades that are 1.5-2" wide or wider are recommended to provide a rigid set up. Tungsten carbide blades can be utilized and can cut much faster, the trade off will be the number of cuts per hour vs. the higher cost of the blade. Tungsten Carbide tipped blades are required when cutting material with hardness over Rc 37.